As a person who is sensitive about the welfare of dogs, waking up to the news of a 4 months puppy thrown off a building by some sadistic humans is not easy. As an independent adoption coordinator working for dog welfare, you start wondering how low humans can stoop, would they ever be convicted and punished, would there ever be strong animal laws in this country. As the mommy of an INdog, you find yourself thinking could that be your kid had they not been adopted. When you feel low and disheartened, its stories like these that come to your rescue : The story of Monique G. Nerman and King Tommy. Few years ago when Monique was in India, she noticed somebody had thrown boiling water on a stray puppy, Tommy. Tommy and Monique developed a strong bond over time and when it was time to leave India, she decided to take the 1.5 years old Indie back with her. And so began their amazing journey as they travelled the world together Spain, Switzerland, France, Monte Carlo, England, Italy, Devon being some of them. 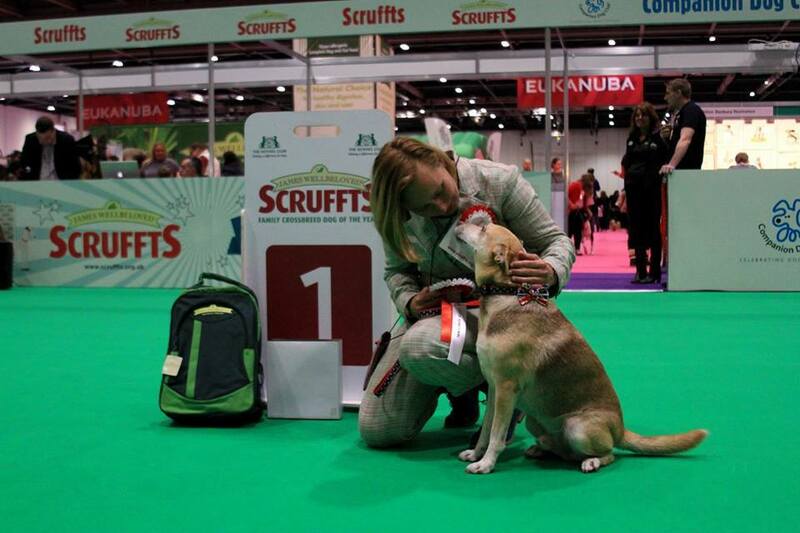 With just two Indies in the UK, Tommy & Kala, who lives in London  they are seen as very exotic dogs by the locals. Monique says people stop them all the time asking about the dog breed Tommy belongs to with the curly tail and small ears. 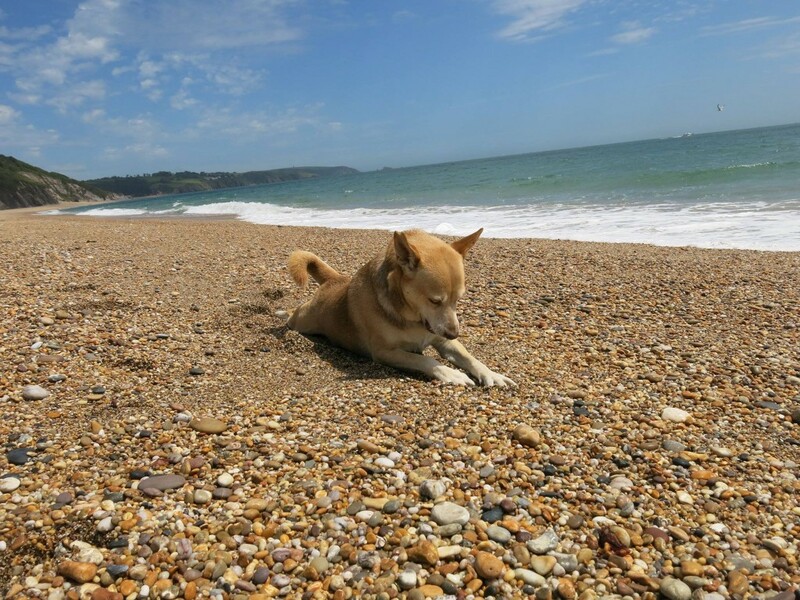 Tommy went on to become the first Indian Dog to become a therapy dog in the United States. In 2016, he officially became the most handsome crossbreed dog in the United Kingdom! 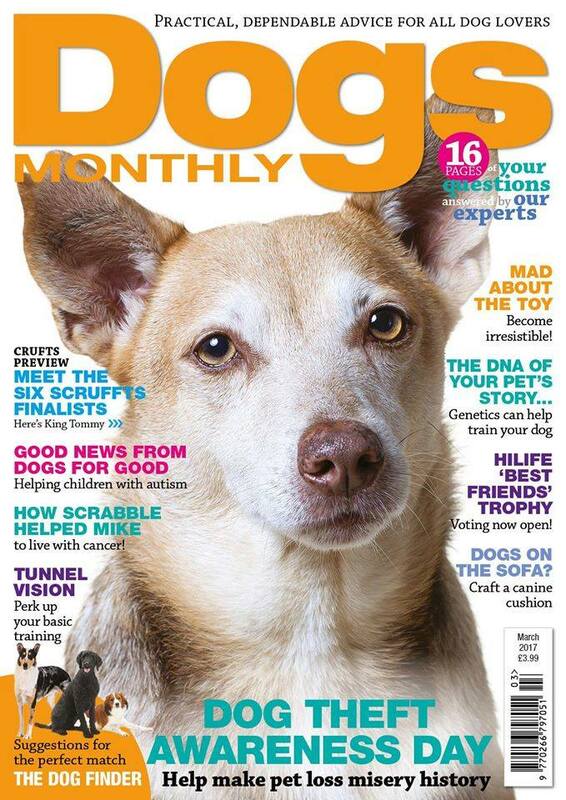 He will be featured in a Channel 4 documentary and is also the cover boy of one of the biggest dog magazines in the UK. 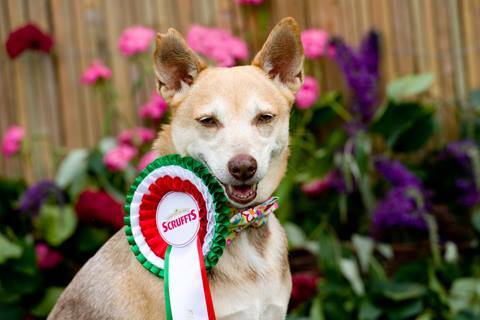 Today, Tommy is one of the six finalists for the Scruffts family Crossbreed dog of the year. 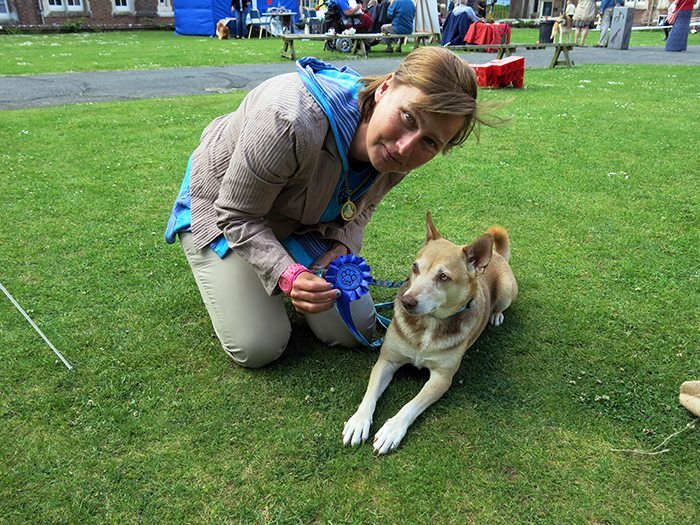 To be in the top six, Tommy had to beat 30 other handsome dogs from 15 places in the UK and managed to convince the judges that he deserved to win. Before every event Monique tells him its showtime and he somehow understand that its time to shine. The finals for Scruffts can be watched live on YouTube on the 11 th of March 2017 at 18:00 hrs GMT. Tommys win will be a win not only for all the Indies in India who are often mistreated but also for people like me who work to getthem adopted and face rejection every other day for the most ridiculous reasons. A big thanks to Monique for reaching out and sharing their amazing story.